Maryland Psychotherapy Clinic and Research Lab - Low-cost mental health counseling for Montgomery County, College Park, and Prince George's, MD and Washington, D.C. The Maryland Psychotherapy Clinic and Research Lab (MPCRL) provides high-quality, low-cost counseling and psychotherapy to adults in the Prince George's, Montgomery County, and Washington, D.C. area. Our treatment focuses on insight and understanding difficulties in relationship problems, depression, anxiety, grief and loss, meaning in life, dreams, and nightmares. Please see our About Us and FAQ pages for more details. For more information and a brief screening interview, call 301-405-5820 or email mpcrl@umd.edu. 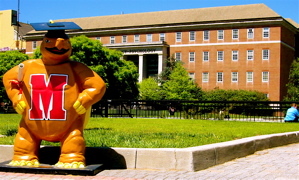 Are you an undergraduate student at UMD interested in being a research assistant? If you are interested in applying for Summer/Fall 2019, please fill out this application and send the completed application along with an updated version of your resume and unofficial transcript to the Clinic Coordinator, Ethan Cuttler, at ethancuttler1027@gmail.com by April 17th at 5 pm. Why Does My Therapist Care So Much About My Past? My name is Will Wheaton. I live with Chronic Depression and Generalized Anxiety. I Am Not Ashamed. Copyright 2018. All Rights Reserved. Updated 06/06/2018.